There’s one truth that joins us all in contemplation: Fridays are by far the best day of the week when it comes to having fun at work. It doesn’t matter if you are an Executive VP or an Individual Contributor at your workplace, you probably laugh more on Fridays, eat differently, get home earlier (or try harder to) and prepare for the weekend. Fridays are dreaded as the days when productivity becomes scarcer. They are the days when you just don’t fire someone, or have them join a new team. You never announce changes over a Friday, and you try not to set meetings (specially long ones) or trainings because you know people will drag their feet to attend those. Fridays are the days than as an employer you sometimes feel it’s stolen from you because well, people either don’t go to the office or act as if they weren’t in one, making that another reason for you to think of Friday as the gateway to your weekend, a place and time where you don’t think of those thinks anymore…which only makes you be as happy as your employees about Fridays. I’ve even read posts and entire articles and rules on how to make Fridays more productive, how to empower people to use their time better and achieve more even when they’re thinking on the barbecue they’ll prepare on Saturday, or the party they’ll assist to. And I think they are all wrong. Fridays are supposed to be fun, it’s the last day of the week which makes it an incredible opportunity to contemplate what you’ve achieved that week and plan for the next one. 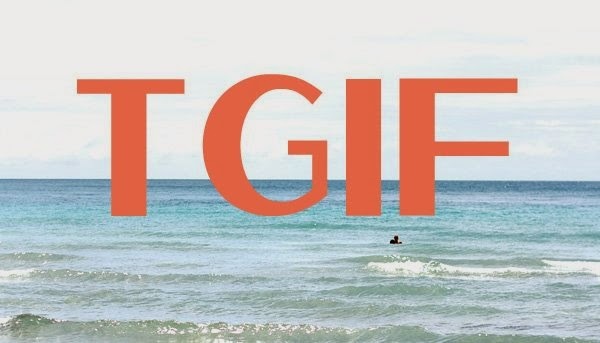 You can even make the whole “TGIF” motto an excuse for a weekly, informal performance review. On Mondays people just don’t want to go to the office. Some studies suggest that the majority of workers just loathe Mondays which are slow yet productive. I have never seen a study saying something similar about Fridays, other than productivity might go down a bit. I say, don’t make Fridays another Monday, it won’t work. Resistance is futile, as the Borg would say. Rather, empower your employees to enjoy their Friday while they work through it and you will be surprised how that impacts productivity more than any time management training, power-day play you’ve ever tried before. Here are just a few ideas that I’ve seen put in practice with tremendous results. Show your employees Fridays are a big thing for the Company too by sharing highlights of the past week. Sometimes an email does it, sometimes you just sit down with them and have lunch and take those extra 15′ of lunch that makes everyone relax and laugh. Create a theme around “TGIF” by setting a few conduct lines or rules that make sense, are fun and yet aim to raise productivity the other 4 days of the week, like “don’t let for Friday what you can do on Monday, Tuesday, Wednesday or Thursday”. You can email or post reminders in your intranet, blog or company site about it. Remind them Fridays are work days, but do it so in such a way that they don’t feel oppressed. Eat with them, have an extra cup of coffee and just share with them what your “perfect Friday” as the closing day of the week is. Use the power of Fridays to create a healthier work place. Don’t tell your employees what they can not do on Fridays but rather empower them to use that excitement Friday brings to them to create new things. Ask them what they think about this or that, ask them to share. Don’t be afraid to have fun with them. Again, no matter if you’re a contractor or the CEO, just allow yourself to have some fun. One manager I had created for us “Talent Fridays”, where anyone and everyone of the company had the opportunity and the space to share something they liked doing with the others and if the others did it, we would pay lunch for that person.